The peaks and valleys in the housing market, combined with the high the cost of living, has convinced many Americans to reconsider owning a large home. Micro-homes have gained a lot of popularity in several states, and people are opting to live in a space that offers less than 300 square feet. Although they don’t provide a lot of opportunity for storage, these micro-homes offer valuable benefits. While the current average new home costs $450,000, average micro-home cost around $150,000. 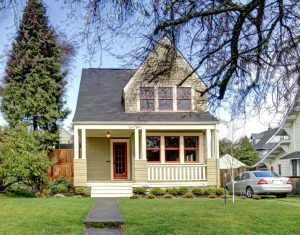 You could save a tremendous amount of money by living in one of these cute but practical homes because they cost far less. Monthly expenses are also drastically lower than an average sized house, further reducing the total cost of ownership. In a micro-home, it is important to utilize space. The best way to do this is having small kitchen cabinets, wall-mounted shelves, spice racks, and drawer organizers. Space savers can make your home appear significantly larger and not give the illusion that your living quarters are limited or cluttered. Micro-homes come in all shapes, sizes, and forms. Many people are choosing to downsize because they desire a simpler, debt-free type of living with many different options to enhance. Please reference our previous article on Why Would Someone Live in a Tiny House which explains the benefits of sustainable living. For more information on how to maximize your space, contact USI online to find a branch near you. USI believes that excellence in every step of the process and ensures timely completion and quality of service, time after time.